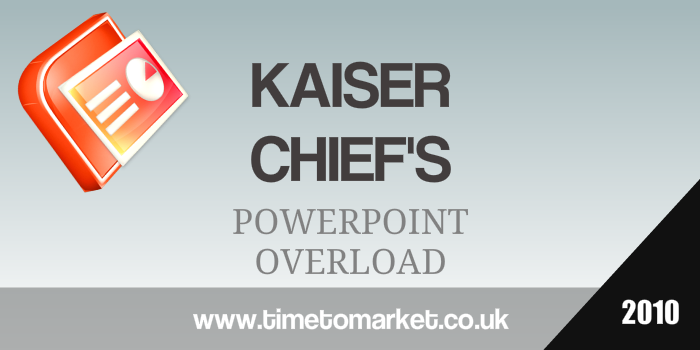 A PowerPoint presentation by Daniel J. Rinkenberger, Senior Vice President and Chief Financial Officer at Kaiser Aluminum last week highlighted many of the issues that senior executives have with PowerPoint presentations. Because it was PowerPoint overload in a huge sense. His presentation was a mass of bullet points and small text descriptions. No-one in his audience at the Jefferies 2010 Annual Global Industrial and A&D Conference in New York could possibly have read the detail on the screen. It was a prestigious event, by all accounts. But his audience weren’t that enlightened by the end. Doubtless he presented every single detail of financial reference so that the presentation could be read later by his audience. That’s a problem. 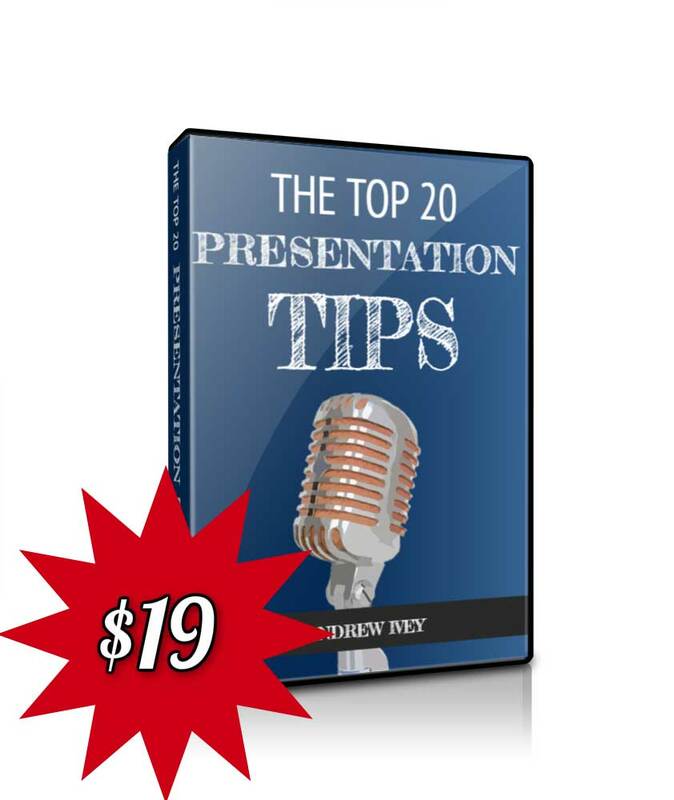 Because no one ever reads a PowerPoint presentation after the event. Well, maybe the analysts at Jefferies do. But we suspect they have a digital version of the presentation and the Excel files as well. They probably revel in PowerPoint text overload. But, that’s really their job. The PowerPoint presentation contained an appendix at the end. That was a good touch for the question and answer session following the presentation. But, here again, the text on the slides was too small to read. Too small a font doesn’t work. If you can barely read your text at arm’s length, then it’s not going to be more legible on a screen. That’s stretching the imagination. His PowerPoint visual imagery was to a good standard. But the images could have been larger and used more extensively. Perhaps his media relations team could also use a template other than a Microsoft standard. They are so rigid. And dull. The theme of strategic direction was evident. But it could have been so much better presented with more use of visual imagery and fewer text slides. So, on the whole, it was full of content. But so much content that you could barely take it all in. 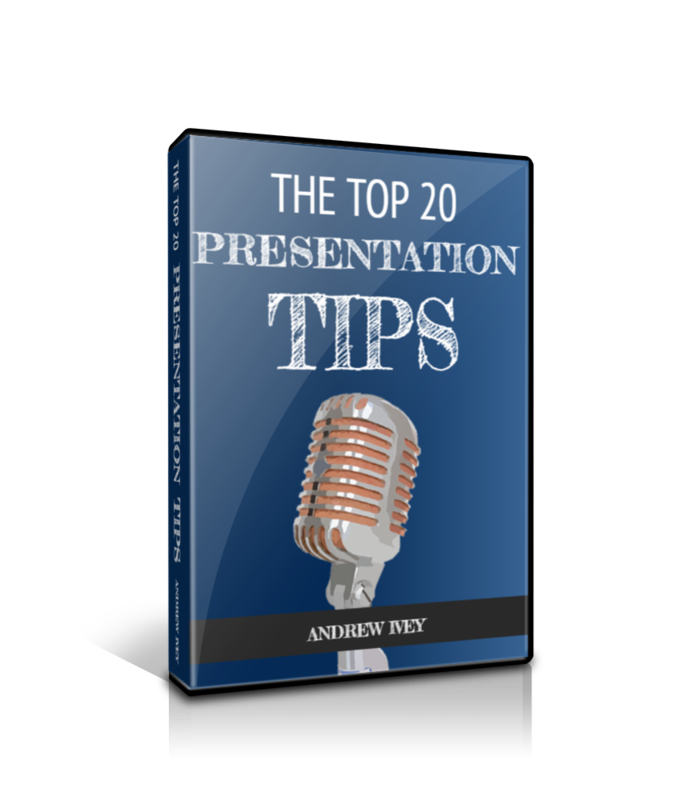 When you need more help and assistance with your PowerPoint presentations you can always review our series of presentation tips. 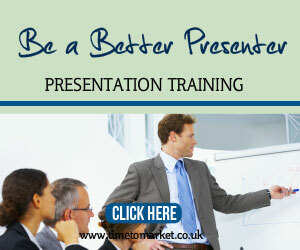 Or, better still consider some presentation skills training. 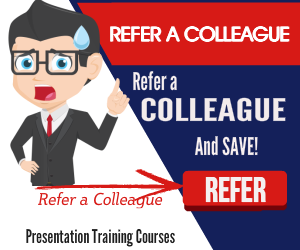 And because you can opt for a training course at your own office or off-site, you are never that far from your nearest presentation centre. So, please don’t hesitate to get in touch when the time is right.